For all of you who wondered if I had fell off the face of the earth, I assure you, contrary to the title, I am still very much alive. I normally don’t do a lot of personal updates on here, but seeing as my absence has been lengthy, I just want to share a little bit and put some hearts at rest. To dispel any rumors, no I am not drug running down in Venezuela, I am not running a Captain Crunch smuggling ring in Hong Kong and I have not slipped into the dastardly Nashville Underground filled with Musicians, vegetarians and Swing Dancers (although those are some of my favorite people here 🙂 ). A few weeks ago, I felt a strong urge to re-enroll in school…so I did. I am now working towards a communications degree and should be done next September. This was spurred on by a sudden, but persistent thought: I should go to Japan and teach English. Which led to much researching and finally settling on the plan of applying with the JET programme after graduating next year. I have had the privilege of working on some freelance writing projects, so that is exciting. I started school last week (and believe me, enrolling, applying for financial aid, requesting transcripts and starting school all in less than 10 days, it was pretty intense). Classes are accelerated and on a 7 week time frame. Right now, I have to prove myself and do well on one class at a time, but starting in January I will be doubling up…I can’t wait. While still working full time. Ok, spelled out, it doesn’t look like that much, but it has been crazy. But I am sooooooooooo excited for the next couple of years. It’s great to be back in school and the classes that are coming down the pike are really great. That being said, I can now say that I will be back in a more regular swing here shortly. I will try to keep school talk and Japan talk to a minimum. And just for fun, I am looking to challenge myself a little more on the writing front, so I want to invite you all to be part of the challenge. Is there something you would like to see addressed/discussed/explored on this blog? Drop the topic in the comments. Feel free to be as challenging or creative as you want. Also, I know I have had a couple of people asking about writing lately, so I also want to throw out a warning…I may be asking some of you if you would like to guest post on here sometime *cough**Elaine**cough*. That’s about it for the update! Note: Wrote this last week and never posted it, so it’s a week late, but it was still fun! Spring is finally here!!!!! As interesting as it was to live somewhere where it snows (can’t lie, wasn’t expecting Nashville to be that state. Illinois or Ohio, sure, but Tenseness? ), but I am a Cali girl at heart and I was a little tired of getting weird looks wearing flip flops to Kroger’s while it flurried outside. But, this post isn’t about winter, it’s about Spring!!! When I first moved here, the catch phrase that seemed to resound from all my fellow California transplants was “Wait until Spring—it’s beautiful” And true to their words, life has been burst at the proverbial seams. The trees are all in bloom, both with flowers and leaves, the weather has gotten warm enough for jaunts with dad on the motorcycle (more on that later) and all in all, it just makes me want to live in sun dresses and flip flops and read outside all day…Until it rains, but with every give, there is some take. This past weekend, Mom and I were randomly taken with the idea of hitting the yard sales. Friday night, we decided let’s go dig through other peoples junk until we find something awesome! So, Saturday morning hits, we jump on Craigslist and jot down some locals to visit. Once in the car, armed with our $1 drinks from McD’s, we embark. Upon arriving at our first location, we discovered they must have had awesome junk, because they were already gone. Second stop…gone. Driving around, we only saw one or two unadvertised shindigs capitalizing on baby clothes and grandmotherly decorations. Saddened, we determined all the true sales must have been raptured, because really, we weren’t seeing anything. Did I mention this was all in a 30 minute time frame (our town isn’t very big and neither of us really know our way around). Well, as we were reduced to driving aimlessly around the backwoods of Bellevue, a friend called and gave us “directions” to a quaint little neighborhood of shops known as Berry Hill (we think it is actually a town snuggled in another town). In that moment, we decided “Let’s do it!” It didn’t matter that we had no clue where we were going and in the long run, our directions were missing some important turns, but long story short, we made it to Berry Hill. It was a breath of Santa Cruz air nestled in the heart of whatever bigger town Berry Hill is in. 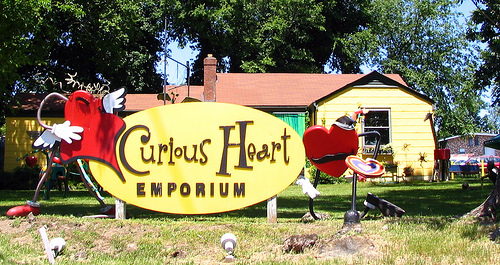 Our journey started at the Curious Heart —we laughed and laughed…talk about pricy novelty that is worth the time and potentially money spent, this store had everything from a solar powered owl that’s head moves back and forth to moustache band-aids to awesome lamps and purses to fun little vinal record looking coasters, featuring the number one hit from The Watermarks, “Keep it Clean”. I recommend this little price gouger for a good laugh and cute finds. Next, we stopped by a consignment store. I have decided I will take a thrift store over a consignment shop any day. But, it was something to chock up to experience. We continued our journey and saw a homemade ice cream shop, an herbal place, a few photographers studios, some amp and even supply stores, etc. We began to think we had our highlight at our first stop when we came across an awesome little shop. The Wish List. The Wish List was an antique shop/art gallery of sorts. From the little girl skipping rope outside (not even meant as a marketing ploy, but she was supper cute, so it served an unintended purpose…unintended purpose, is that possible? Something to ponder). Really, the items were amazing. Hand made checker boards made from a picture frame to iconic pieces printed on antique Encyclopedia pages to vintage clothes. 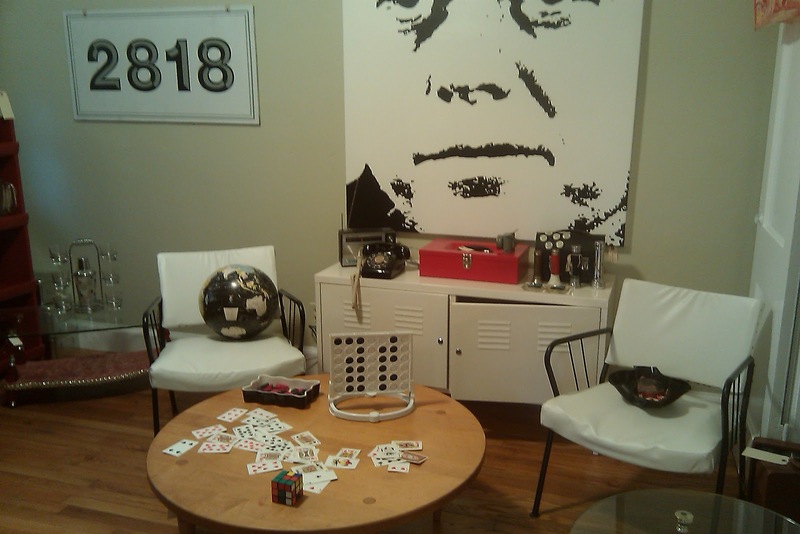 Three rooms chock full of treasures that you wanted to explore, all arranged with an eclectic elegance. The shops proprietor was friendly and you could see this shop was her passion. I picked myself up a “The Pen is Mightier than the Sword” on a Literary Illusions page and mom picked up a secret for dad. Oh, it went perfectly with the fresh air and sunshine we had experienced all day. 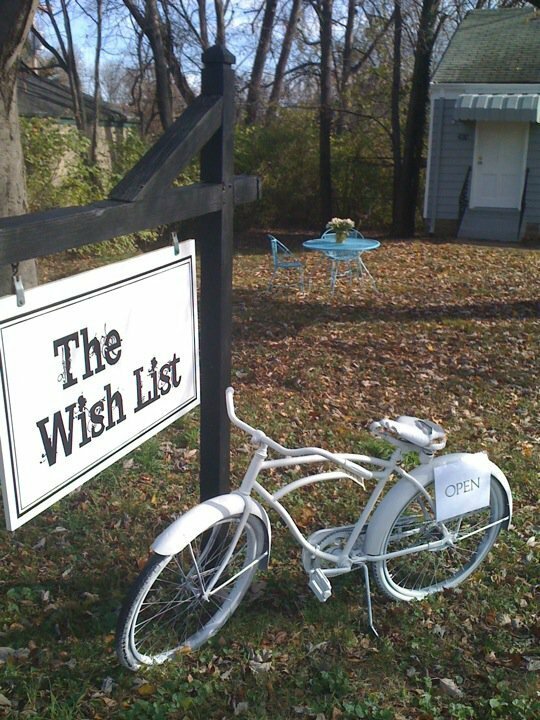 If you are in Berry Hill or on Facebook, check out The Wish List! Mom and I wrapped up our day with lunch at the Calypso Café. Ok, let’s just quote Sid the Sloth “Yummo”. The curry chicken and the nachos were my favorite, but it was all around good, I even like the greens and black beans (two things I normally am not all about). And their salsa was a sweet smoky number that was really good. They are located in Belle Mead as well, so, if you are in the mood for some Caribbean type food, stop by. Thus ended our excursion, but it was awesome. Some places to try next time may include the shop where you make your own pancakes…all though, something just says that defeats the purpose. Sunday, it was time for a Daddy Daughter Date as we call it. So, we hopped on the motorcycle and away we went. We stopped by the Timmons res and met a potential new member of the family…a black lab mix yet to be named (I vote for Bronte, but dad doesn’t think it’s feminine enough). She is a sweet heart! I’m not a huge pet person, but something inside me thawed almost instantly. Dad thinks she is sweet, but dumb as a bag of rocks. I say any dog that can recognize the futility of fetch after two times and can get the human to go after the ball is smarter than most. After that, we cruised through the back woods and then down Charlotte into down town, up west end and back down 70S for home. Not an epic ride, but so nice. It was just hitting dusk as we were riding Broadway and West End. Thus ends the chronicling of my first spring adventure in Nashville. Next week (the past two days), the Flea Market and the Sakura Matsuri (Cherry Blossom Festival). Anyone else have stories from their weekend? So, I am about to get a little vulnerable. There is a point to this post, however, I feel it will be better communicated if the mental journey I made today is showcased, and for the good of mankind (so noble, I know), I am willing to expose some of the inner workings of my heart. If you skip the backstory, please read the italicized portion at the end. As a good percentage of the world gears up for February 14th, the temptation can arise for those lonely ride in bucket 5 individuals (Never Been Kissed reference for the ladies) to view it as the season of our discontent. Even for those of us who are single by choice, gladly embracing the time we have to pursue those things God has put in our heart, it can be a little discouraging. I can’t lie, as I see my friends enjoying a season I have yet to know, a little stirring of desire may disturb the quiet waters of my own contented soul. There was even a time when I readily joined in with my friends in celebrating Happy SAD (Singles Awareness Day) on February 14th (the ironic thing, those who were most gung-ho in celebration are now happily married). So, as I find myself approaching this annual celebration of Love, I can hear the little niggling voice in the back of my mind. Initially, I simply thought I would simply post something encouraging about enjoying the season of singleness or some other Joshua Harris approved sentiment. But, the muse of Divine Inspiration, the Holy Spirit, got a hold of me this morning with a challenge and I decided to pass it on to anyone out there who is tiered of maintaining and would enjoy taking some ground. So, for 2011, I am issuing a Valentine’s Challenge to myself and who ever else might be game. 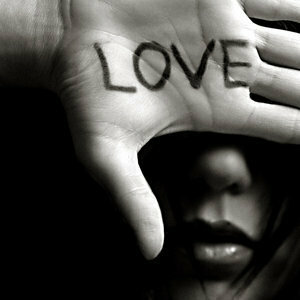 This year, I am determined to be an extension of love to someone without looking for love back. When we lay down our own gratification and seek to love and serve with our only satisfaction being the fact that we have been an extension to Jesus to someone and he has been made great in their life, we are extending true Love. It may be inconvenient, it may not be “romantic” but it could mean the world to someone. So, this year, I’m committed to sharing in the mature Joy of Jesus by loving how He loves. So, think about it and find a way to be an extension. I’ll be donating blood for example Monday, February 14th. One time giving can save up to three lives. Some other options, send random cards to people, buy someones lunch when they aren’t looking, spend your romantic dinner serving food for those who don’t have anything. I’m still getting my game plan together, and the only reason I post this now is to see if together, we can make a difference and just love. 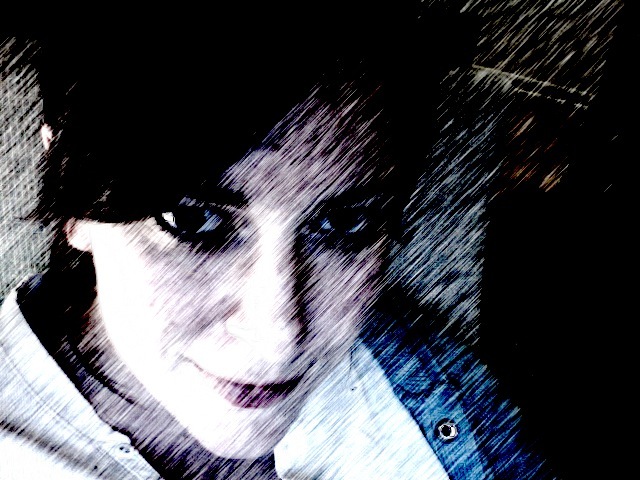 PS-I got board and had fun on Joy’s Mac…thought I’d share one just to break up the non-picture posts.